Trombonist Tom Olcott is the Recording Vice President of Local 802 and the supervisor of the union’s concert department. September is always an important month for classical musicians because many of our orchestra contracts expire each year on the unfortunate date of Sept. 11. That date was picked many years ago and harkens back to the time when many orchestras negotiated as one with Local 802. That was back in the 1980s when “one size fits all” worked for the concert world. Times have changed since then! The biggest change is that the freelance orchestras no longer bargain with us as a multi-employer unit. Each entity – like the American Symphony Orchestra, the Opera Orchestra of New York, or any of our other symphonic organizations – has its own reality and, consequently, its own collective bargaining agreement. Those agreements must take into account each group’s funding profile, programming viability and audience demographics. We also must pay attention to each entity’s board of directors. Some boards are vital, energized, active and philanthropic. Others fall short of one or more of these markers, and the group suffers as a consequence. Mostly Mozart. This contract was resolved in December 2013, and has been ratified by the roster musicians. Both the union and management were committed to an early resolution of this agreement, which centers around a wage increase. Negotiations were cordial and respectful, and did not include independent legal counsel on either side. Management’s commitment to its musicians is notable and admirable. Orpheus Chamber Orchestra. Orpheus is a unique union entity, being largely self-governing. Orpheus reached agreement with us in October 2013. Local 802 consulted extensively with the Orpheus musicians’ committee over several months. Actual face-to-face negotiations were handled by the musicians’ committee itself. Rank-and-file Orpheus members ratified the agreement in October. Orpheus musicians agreed to a pay freeze, and some easing of travel pay. The good news is that these minor concessions have resulted in more work for the Orpheus musicians. American Symphony Orchestra. 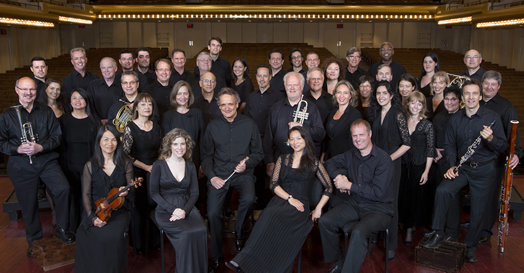 ASO presents many services (perhaps more than other local orchestras), both in New York and at Bard College. ASO management presented Local 802 with a severely constrained financial position. With comprehensive and realistic discussions involving the ASO management, the ASO Orchestra Committee, and Local 802, ASO musicians agreed to a short-term contract, reflecting the need for pay increases, but also respecting the many employment services offered by ASO. Health contribution caps for a week’s work have been eliminated. American Ballet Theatre. The ABT contract was settled quickly. After several years of freezes and concessionary agreements, ABT offered small increases and an indication that it had (cautiously) moved passed a period of financial distress. That said, the agreed contract was short term, through March 2016. A major concession of the previous contract – a reduction of sick service accrual – was reversed in this agreement. On June 11, the Local 802 Executive Board unanimously adopted the terms of the American Ballet Theatre contract as the Local 802 promulgated freelance opera and ballet rates. The wage increases are 1.5 percent for 2014-2015 and 1.5 percent for 2015-2016. Stamford Symphony Orchestra. Stamford’s previous contract negotiations with Local 802 were lengthy and contentious, and nearly resulted in a strike. This time around, neither the Stamford management nor the Stamford musicians’ committee wanted a repeat of that environment. The major outlines of a new agreement were agreed upon in a surprisingly brief meeting. While there have been subsequent discussions that attempt to clarify certain aspects of what we agreed to, the basic deal was approved by the Local 802 Executive Board and awaits a ratification vote by musicians this month. The Westchester Philharmonic has faced considerable difficulties over the past several years. The orchestra had been operating under an extension agreement since 2011 and is still in arrears on two payrolls from that year. The orchestra also chose to reduce its subscription concerts from a weekend pair of concerts to single performances. It has, however, settled on a pair of conductors, and has shown some ability to repay what it owes to the musicians, the AFM pension fund and the Local 802 health plan. After a number of negotiating sessions spanning three months, the orchestra and Local 802 were able to agree on a two-year contract. That agreement has been approved by the Local 802 Executive Board, and awaits a ratification vote this month. The New Jersey Festival Orchestra (formerly the Westfield Symphony), which is Local 802’s only New Jersey orchestral CBA, has been operating under an extension for several years. Lengthy negotiations are not quite complete but are likely to conclude this month with the first wage increases in several years. I am happy to report that the Long Island Philharmonic has, at last, paid musicians in full for all past payrolls. It has been operating under an extension agreement that will expire this month, after which we will commence negotiations. I am sure most readers have noted some absences in the list. This month, we will start talks with the Opera Orchestra of New York, the Little Orchestra Society, the New York Pops, American Composers’ Orchestra, Queens Symphony, Riverside Symphony and the Orchestra of St. Luke’s. Finally, there will be a Classical Musicians Forum at Local 802, at 5 p.m. on Sept. 17 in the Club Room. I hope to see many of you there. We have much to discuss regarding the freelance classical working world!